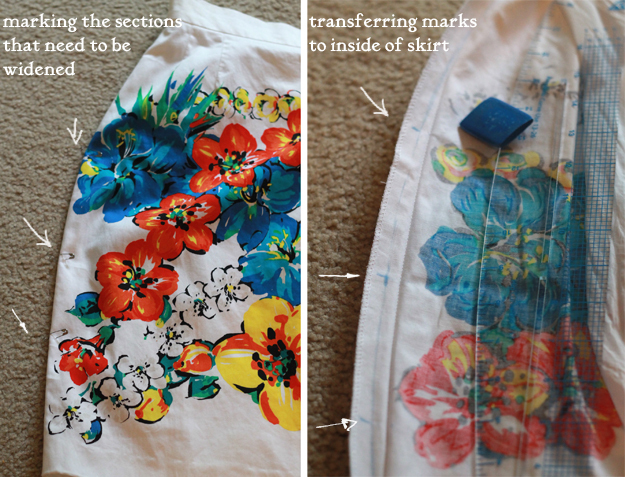 I marked my skirt with pins the sections I thought needed to be widened. Using tailor's chalk, I transferred the marks about 3/8 of an inch from the side seam (I wanted 1.5 inches total let out of the widest part of the hips). With my French curve, I sketched a new side seam on the inside of both sides of the skirt and lining and gently tapered towards the waist and hem. I sewed the new seams along the chalk line (both sides of skirt and lining). Merging the new stitches with the old at the tapered points, I backstitched a few times to lock the stitches in place. I cut open the old stitching and pressed the new side seams with a hot iron. After that, I hand washed the skirt to remove the fabric creases and old stitch holes. And that's all there was to it! Please excuse the wrinkles; the skirt is cotton and I was wearing it for quite a while before photographing. Gladly following you. Hope u can follow me back! You have such mad skills...no wonder you always look so fantastic! You're so talented. Love that skirt! I wish I was good at sewing. Great DIY! That skirt was SO worth going through the trouble of altering it. 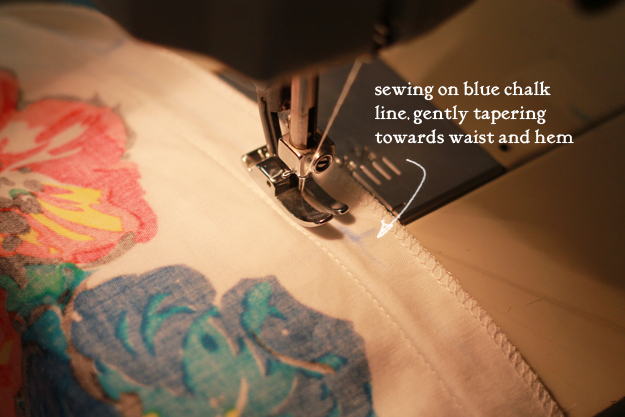 It is always a joy when you have the seam allowance to do this! Great tip! Great job, thanks for sharing. I wish I have sewing machine at home. 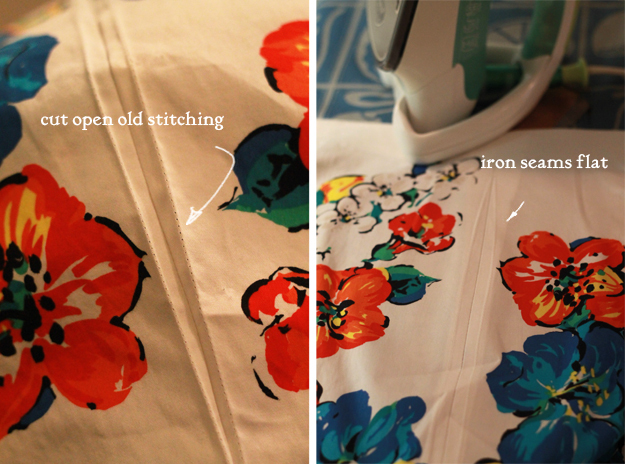 It's so amazing that you know how to do your own alterations! I pay way to much to my tailor but maybe I'll consider learning myself. Great post! what a great tutorial! 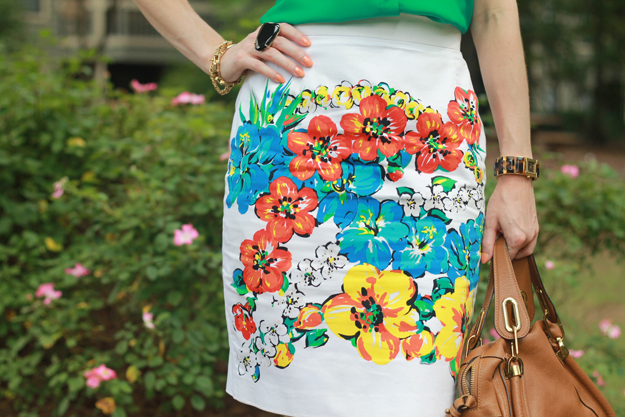 I love the fun print on the skirt, and it's great that you were able to adjust it to work for you. I'll have to keep this in mind next time i see a skirt in the thrift store that is a little too tight! this is great- i never even thought to do this! !